Barclays Bank, BNP Paribas, the Royal Bank of Scotland Group, IG Group and JP Morgan Chase and Co. are just a few of the businesses that are changing their website addresses to reflect a new trend in the online financial sector. These firms have all embraced new Top Level Domains (TLDs) which are now proving to be advantageous in many ways. The introduction of new TLDs demands new thinking in terms of how consumers will search online and identify their destination, and how companies will position and present their brands to consumers. Of nearly 2,000 applicants in the ICANN process for new TLDs, the financial services sector was quick to see the opportunity and was one of the best represented industries within the applicant pack, with companies such as AIG, Fidelity, Saxo Bank and HSBC all signing up to run their own Internet space. Barclays Bank was one of the first "dot brand" applicants to use their brand name as their main web address, announcing the transition in May 2015. Barclays Bank can now be found at www.home.barclays. BNP Paribas, the Paris-based global bank, is also transitioning away from legacy TLDs, believing that being the owner of a dot brand allows the company to enforce its status as an innovative financial firm. The French website www.mabanque.bnpparibas was delivered step by step, to allow customers to become familiar with the new TLD, and was rolled out in parallel with an information campaign. 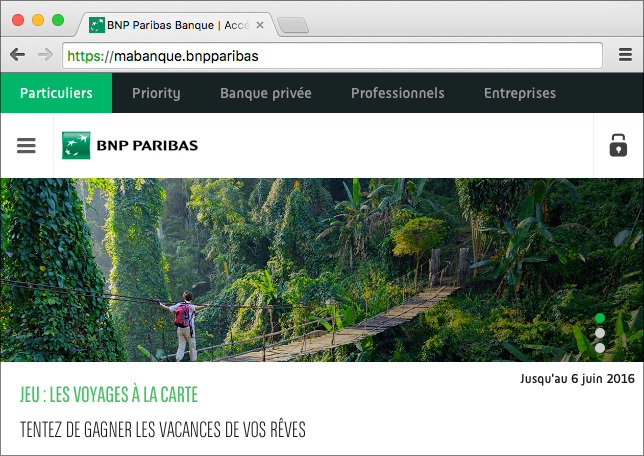 BNP Paribas, the Paris-based global bank, delivered its new dot brand TLD based website step by step, to allow customers to become familiar with the new TLD, and was rolled out in parallel with an information campaign. Another innovative move was made by US company fTLD, which runs the .bank TLD. The company was formed in 2011 by the American Bankers Association and the Financial Services Roundtable who were soon joined by other endorsers such as Wells Fargo, the Royal Bank of Scotland Group and JP Morgan Chase & Co.
Why are businesses flocking towards new TLDs? Quite simply, new TLDs offer more choice and different TLDs are reflective of different business strategies. For example, the .bank domain extension was created to become a more trusted and secure online destination for banks and their clients. To ensure this comes to fruition, businesses looking to purchase a .bank domain name must meet enhanced security requirements and be a verified member of the global banking community. As such, and as well as acting as a unique identifier, the domain name can be part of a bank's overall cybersecurity strategy. Some TLDs may be brand focused, and act as a defensive or offensive strategy to help tackle intellectual property infringement issues, whilst leveraging the power of a well-known brand name. And others are distinctive keywords, designed to provide an online marketing advantage. Overall, each TLD speaks clearly to consumers, directing them to destinations of their choice. News.Markets – Example of a specialised TLD in the financial services being put to good use.Boston Ivy, whose parent company is the FTSE 250 trading corporation IG, is now operating some of the most specialised website domain extensions in the financial services field, including .forex, .trading, .markets, .broker, .CFD, and .spreadbetting. This means you can choose the first part of your web address along with a financially relevant domain extension to sum up your firm's raison d'être. 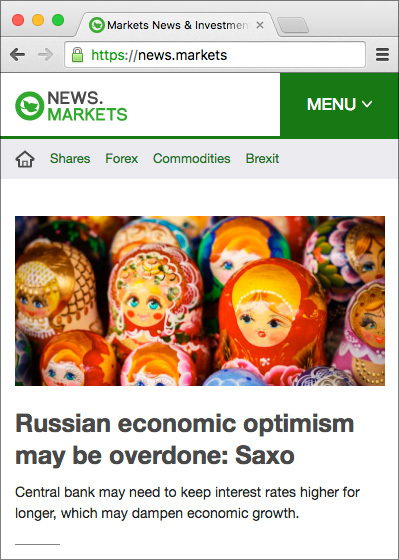 News.Markets, Reviews.Spreadbetting and Learn.Spreadbetting are examples of these specialist TLDs being put to good use. These sites, amongst others, are seeing a rapidly rising readership, highlighting the power of financial TLDs. Boston Ivy's TLDs are helping businesses worldwide to create their own unique online spaces and build trusted communities that will become a first choice for informative and reliable content. Financial TLDs give financial companies, brokers and traders the opportunity to put a signpost on their business, streamline their messaging and leverage a keyword rich domain for better positioning in search. Forex, for example, is one of the most costly keywords online. The specificity of these specialist financial TLDs allows companies to talk directly to customers and showcase specific products, a strategy which IG is actively pursuing with the launch of sites such as ig.forex and ig.spreadbetting. This is new, unchartered territory for many businesses within the finance sector, but few are passing up the opportunity to differentiate themselves from the crowd, increase consumer trust and address the increasing costs of CPC and CPA. Local Time: Thursday, April 18, 2019 05:58 AM PDT – Page Load: 0.2482 Sec.